Originally published 10/2/17. Updated 4/9/19. These aren’t the sandwiches you made in your college dorm, these are gooey grilled genius in between two slices of bread. There’s a lot of things we outgrow through life. Blacklight Sublime posters, Adam Sandler comedies, the hope of ever having an affordable healthcare system. Some things are too innocent and naive to carry with us into adulthood. Fortunately, grilled cheese sandwiches aren’t one of them. Grilled cheese sammies practically defined our childhood. There’s something about all that creamy, cheesy goodness jammed in between two slices of heavenly toast that makes everything alright. With enough grilled cheese we could probably sort this whole world peace thing out, or at the very least resurrect Adam Sandler’s career (Okay, Reign Over Me was a sweet movie, I’ll fight anyone over that). So, for a very brief moment of time, let’s forget the world is an actual uncontrollable dumpster fire and instead focus on the only thing on this planet worth saving: grilled cheese. 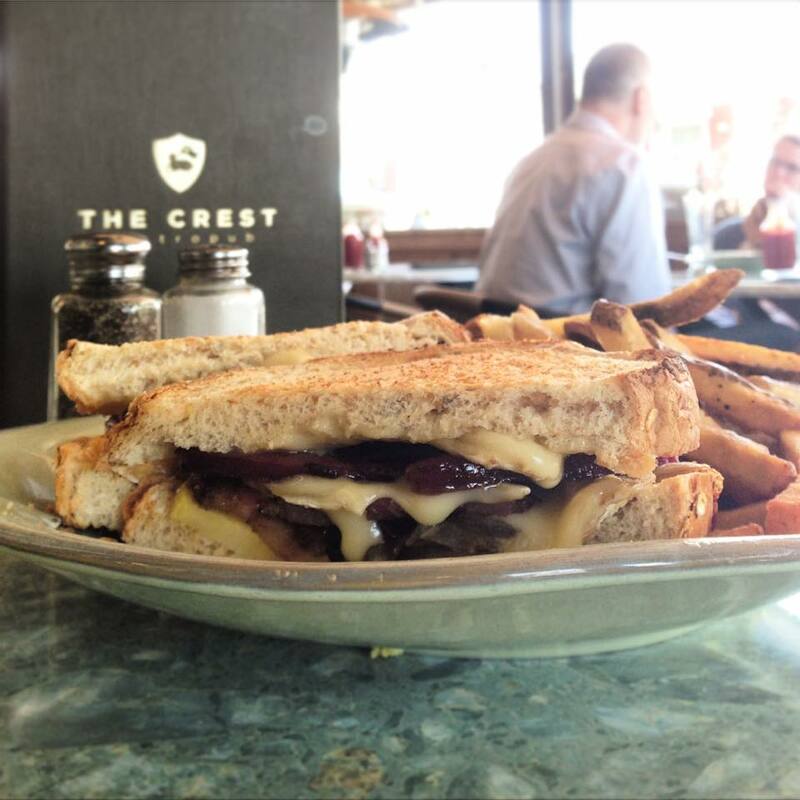 Here are the eight best places for finding a grilled cheese in the whole city. Simple. Dippable. Dunkable. 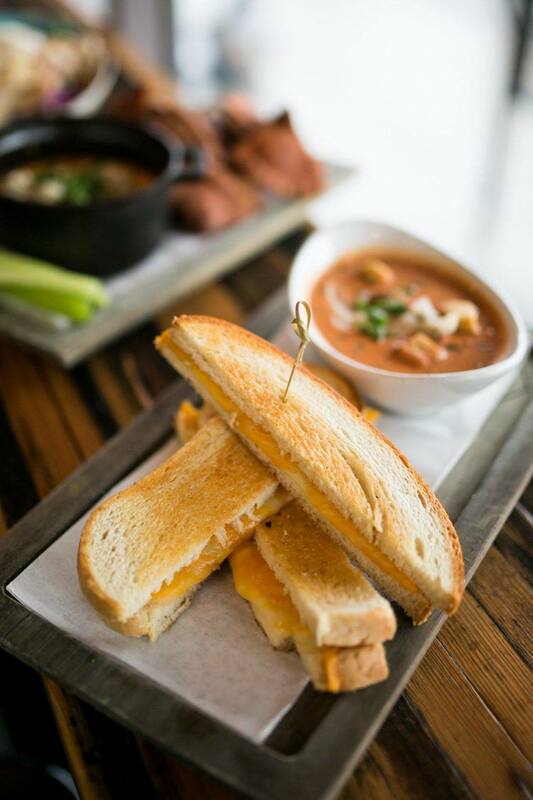 Bodega’s grilled cheese sammies are the perfect light lunch. They’re sliced into strips which makes them super easy to devour by the handful or dip into a soup (highly recommended). But the best part? These little guys will only run you a buck on Mondays thanks to their weekly special. I know, awesome right? 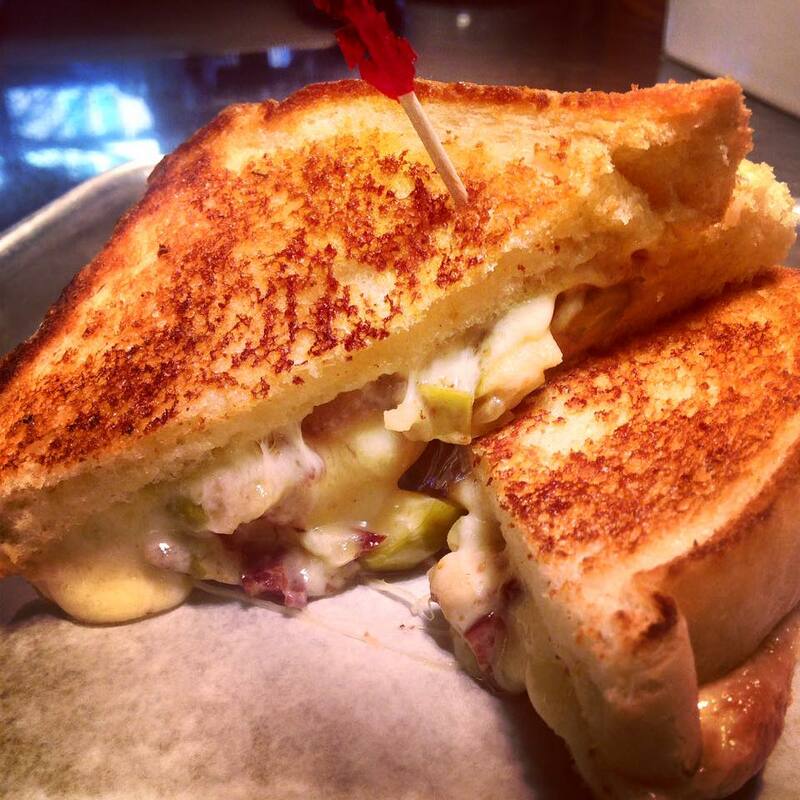 The Tavern special today is our pickle grilled cheese. Cheddar jack, havarti, and sliced dill pickle spears in between toasted sourdough. Served with kettle chips and a pickle! Okay, so, go with me on this one. Sure, their grilled cheese special is very dope. Stacked with cheddar, havarti, and pickle, how can you go wrong with that? 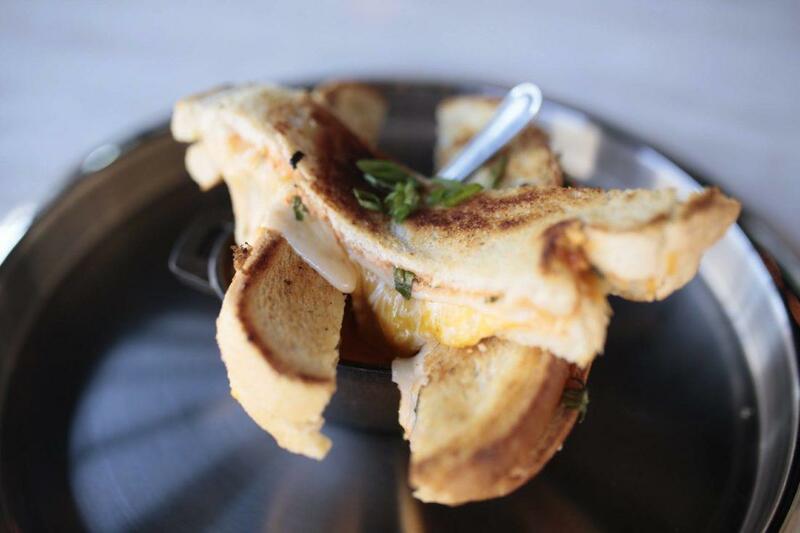 But Olde Towne Tavern triples down on it by offering three more grilled cheese sandwiches as regular menu items. I’m talking The Bartlett Pear Grilled Cheese, The Jalapeno Popper Grilled Cheese, and the Red Masher Grilled Cheese which ups the ante by shoving red mashed potatoes in the mix. All of which are truly mouthwatering. Philco’s puts a mean spin on the grilled cheese classic. In between two pairs of perfectly browned toast comes cheddar, havarti, Nueske’s bacon, and Granny Smith apple. They masterfully combine sweet and savory flavors with some creamy, gooey-like texture. Tummy grumbling yet? Yeah, thought so. Melt’s entire business model is based on grilled cheese and grilled cheese accessories, a concept that seems to have paid off. They offer a whole host of toasted and grilled sandwiches. Sure, they’ve got your basic toast and cheese, but don’t be afraid to step outside the box. They’ve got a pretty mean October special called the Voodoo Zombie. It comes complete with pulled jerk chicken, fried and smashed plantains, Caribbean peppers, peach habanero marmalade, and pepper jack cheese. Weird? Yes. Bizarre? Maybe. None of that stops it from being AMAZING. If there’s anyway to ruin a grilled cheese sandwich with toppings we haven’t seen it yet. The Crest on Indianola continues to prove that. This specially made sandwich features apple brie and caramelized onion. A match made in grilled cheese heaven. Hadley’s has some killer grilled cheese strips. Available Thursday as a part of their daily special, this sammie costs just five bucks. You can relax the wallet and soothe your belly at the same time, a feat not often accomplished. For just three extra bucks you can even add a cup of tomato bisque, always a good move. Something The Pearl does infamously well is putting a gourmet spin on traditional comfort food favorites. It’s no surprise that they’d do the same with their grilled cheese. They took America’s favorite toasted sandwich, flipped it, took it to charm school, and created this banging bourgeois masterpiece. They loaded it with brie, pear jam, roasted squash, and arugula pesto. This sandwich rocks a monocle and a top hat and makes no apologies about it.